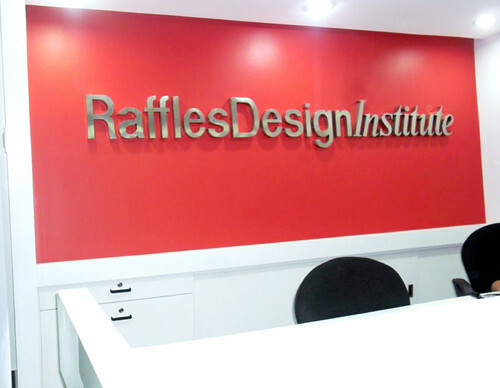 You know how much fashion tickles my fancy, so when Kaye Awatin invited me to attend the fashion trend forecasting at the Raffles Design Institute with WGSN, I immediately RSVP-ed. (Thanks again, Kaye!! :D) But before I share to you some of the things I've learned from the forecasting, here's a brief background about the WGSN. WGSN is the leading online trend-analysis and research service providing creative and business intelligence for the apparel, style, design and retail industries. Launched in 1998, WGSN has expanded its operations worldwide and now has regional offices throughout Europe, Asia, South America and the United States - in both New York City and Los Angeles. 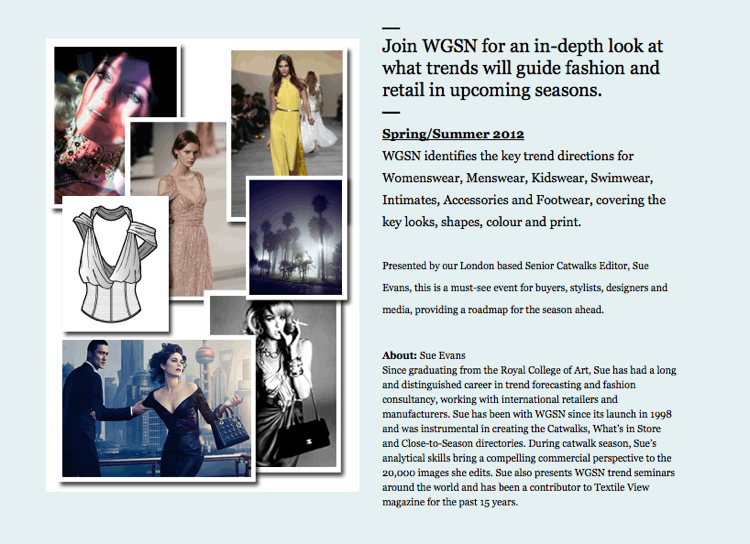 WGSN is dedicated to providing its clients with the most all-encompassing connection to style. Staying ahead and tracking the style curve is what defines WGSN. Loveys, for the 50s Twist look, there would be longer lengths for skirts/dresses, inspired by Retro-American, conversational prints and vintage graphics. For this look, there would be Safari-styling (especially on men), Egyptian influence, tribal geometrics, overdyed clothes, tube skirts, fringes, mesh knits, textured marls, asymmetric tops and leather tops. I love it!!! HUMANITYISBEAUTIFUL, Thank you so much for droppin by! :) Yes sure, I'll follow your blog in a while. Vanessa, hi sis! Thanks a lot! So sad we weren't able to pursue with our meetup! Sarah, I'm sure there'll be more!! ♥ See you soon!!! 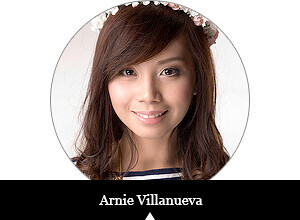 :"> Goodluck on your birthday giveaways! Thanks for sharing, Arnie! I missed this event eh. :( Love your shoes! Angel! Missed you!! ♥ Couldn't afford to keep these info to myself. Sure I'll join your giveaway! Thank you Angel!